Recover information from formatted, deleted and corrupted partitions! Starus Partition Recovery is an all-in-one data recovery solution to recover deleted files and restore information from damaged disks. Recover deleted files and restore data from corrupted partitions! 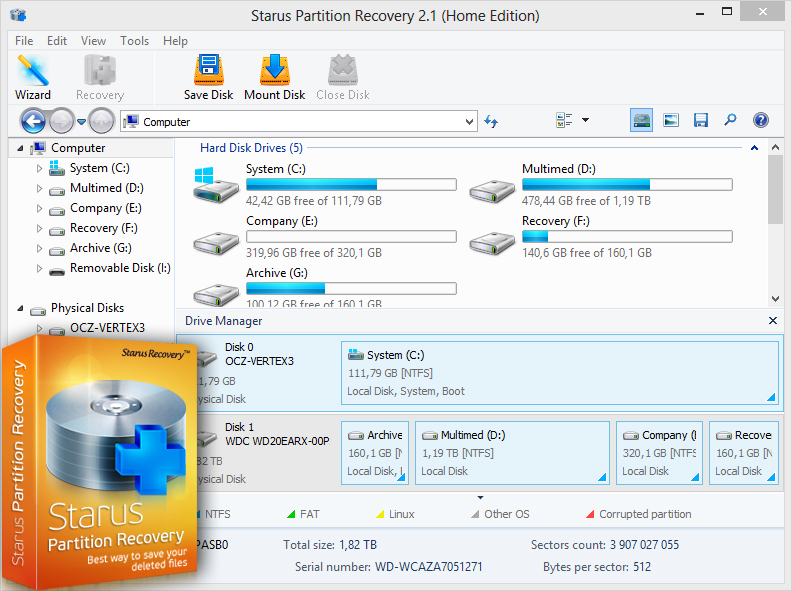 Starus Partition Recovery offers near-instant recovery, and delivers comprehensive recovery for formatted disks, deleted partitions and corrupted disk volumes. Class leading performance, industrial reliability and ultimate ease of use make Starus Partition Recovery the tool of choice of thousands of customers all over the world. Kernel for GroupWise to Exchange is the most efficient tool to convert GroupWise to Exchange. The software converts unlimited GroupWise mailboxes to PST/Exchange Server mailboxes. If you are getting error messages while accessing data from the MDB file, then it simply means the database file is damaged and need repairing. Repair Access file to get the lost data back.